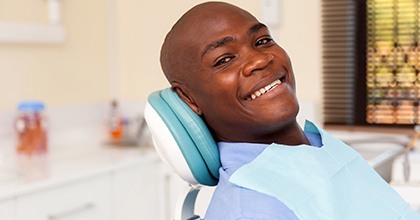 At Bristol Family Dental, we take helping patients keep their smiles healthy very seriously, and we provide personalized treatment plans that focus on preventive care. 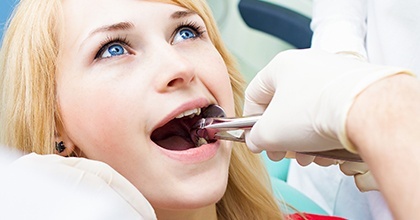 Unfortunately, we can’t always avoid the need for more advanced restorative dentistry services like tooth extraction. When our patients need to have one or more teeth removed, we’re happy to offer safe, effective, pain free extraction services in our Bristol dental office. If you want to learn more about tooth removal or any of the other dentistry services we provide, call our team to schedule your appointment today. 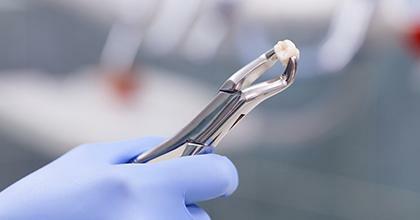 To remove your tooth, we may either pull or surgically extract the tooth. Pulling teeth is only possible for those teeth that are fully erupted from the gum line. It’s also preferable that these teeth not have been in position long enough to bond firmly with the underlying bone and soft tissue. Clasping tools are used to shift the tooth back and forth until it can break away and be pulled free from the supportive tissues. Surgical extraction may involve a number of elements, including cutting away the soft tissue to reveal more of the tooth, drilling into supportive bone structures, or breaking teeth into small pieces for easier removal. 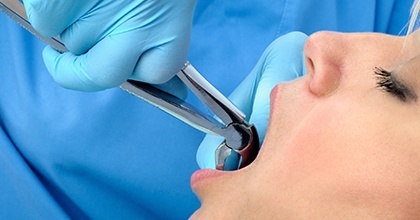 What Happens After My Tooth Extraction? You should also call our team right away if you notice changes that are distressing. For instance, an increase in pain or swelling rather than a gradual decrease and any warning signs of infection should be reported to us as soon as possible.